I think we’ve finally made a decision on the first pair of twin socks – Bayerische in the Smooshy Sock pictured above. Right MJ? 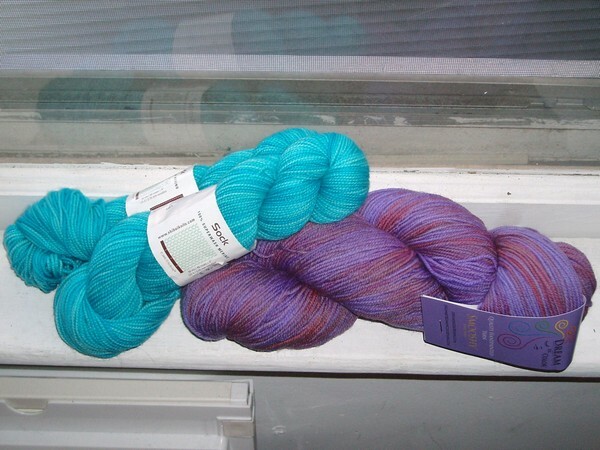 That smooshy sock yarn looks like the color that I got you. Unless the colors are like really different on my monitor! i am in serious lust with that pattern. where’s my si ze 0 needles! Very yummy yarn. I really like the turquoise one.